There are times when code produces unexpected results. Examining the code reveals nothing. In this case the best thing to do is some in-line debugging. PHP scripts generate HTML to be interpreted by a browser, and HTML has a comment tag. 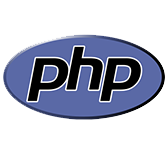 Therefore, it is a simple matter to write PHP code that reports diagnostic information inside HTML comments.